SEO becomes very important as the online marketing increases day by day. Every product which comes in market, comes with thousands of myths like product is good or bad, have ability to stay in market or disappear in someday and so on. Search engine optimization is not different in anyway. We all have some myths towards the Do’s and Don’ts of this industry. 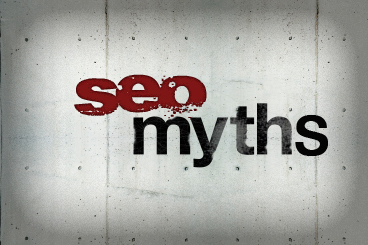 Whatever your experience, you are always bound with myths in SEO industry. As the proverb “Little knowledge is dangerous” you must know the actual knowledge of this industry instead of having myths and doing SEO constantly without getting permanent results on search engine. Keyword plays as a magic wand to success: Most of the time you listen people says keywords are most important to increase ranking and it’s true also, but one should focus on content instead of over peppering the articles with requisite keywords. Higher page rank means better search engine ranking: Please don’t get confused with PR and search engine ranking, as PR is just one of the factor that Google consider at the time of site ranking but it’s not the only factor. Good content means good ranking on search engines: Yes it is important to write unique and fresh content for your site, but it’s not over here, you need to do extra work so that search engine noticed your site content and helps to visit your targeted audience. Doing SEO one time and forget it: Many of us in SEO industry have myth that SEO is one time activity, if a site comes on top of the search results, then no need to constantly doing SEO on it. But you need to stop here, as it is not easy as it seems to be because if you do not bother to further optimize your site then it will definitely start descending on search results. SEO takes time: I think nobody commit you the exact time. Sometimes it takes time, not surely years. And if you are getting some quality links and right SEO strategy, then it will not take long time to come on top of the search results. Submit your site to search engines: People have myth on this also that submitting their site will help them to index, but I think you just need to increase your incoming links, as submitting URL’s doesn’t do anything for ranking pages. Best way for building links is link exchange: Wrong! It is advised you to keep away from these link network, as search engine have always been against any kind of link partnership. And you have to know that SEO is lot more than link building. Pay Google AdWords to power ranking: Google also said so many times over the year that spending on Google AdWords is not a bad thing but it’s definitely a myth that there is a direct impact on your site ranking. I think it was enough to make you understand about the myths you have in SEO industry. And hope that these above myths will help you to work on activities that actually get you result. Well now it’s totally depend on you how you keep yourself away from these myths and spread the truth around. Moreover, if you have any suggestions on this article, let me know, as your comments and suggestion are always appreciated. Previous Post Is It Still Worth Investing Money and Time for iPhone 4? Pulkit man you are piece of genius, this is really awesome piece of writing man. You point out lots of myths which are really important for doing seo. Lots of people do seo but they cant get any stage they makes lots of backlinks everyday but their site are not coming in the main page where it should be. Sometimes people do link building but it doesn’t work for ranking or getting any traffic. This is not true adword always will work, this is a way of paid advertising which are really helpful for spreading the ads to the online people. Sometime it works sometime it doesn’t. But here is no guarantee if you run adword you will get clients, sometime luck matters, and life is stranger than fiction sometimes.